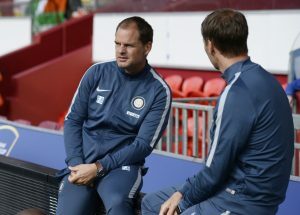 Serie A: Can De Boer Really Succeed At Inter Milan? Bold statement coming from a manager with a lot to prove at the Guiseppe Meazza Stadium. Of course at his Inter Milan presentation, De Boer had to seem confident. A snazzy soundbite for the fans and hacks alike. The reality of things might be a bit more sticky for the Dutchman though. De Boer has probably taken on the toughest job in the Italian top-flight. Inter Milan are sleeping giant both domestically and on the continent. From being a household name in the 90s and also under Jose Mourinho, they’re now just also rans. However, new Chinese owners, Suning Holdings Group believe the 46-year-old is the man to help the Nerazzurri catch up with the strongest trio on the peninsula. Imagine that, your brief contains orders to topple Juventus, AS Roma and Napoli. Hardly enviable position to be in. The former Barcelona defender has a respectable managerial record though. He is the only gaffer in Dutch Eredivisie history with 4 consecutive title wins. 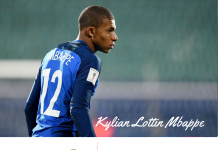 His young and vibrant side served up both effective and attractive football and soon suitors came calling. De Boer however rebuffed advances from both Tottenham Hotspur and Liverpool amongst others to stay on with Ajax. 4 succesful years at the de Godenzonen largely drew comparisons with both Louis Van Gaal Johan Cruyff. He won the Rinus Michels Manager of the Year Award in 2013 after notching a total of 9 Eredivisie wins with Ajax (5 as a player). It was not all rosy for the left-back turned centre-back though. He had to deal with disappointment in his last two years at Ajax. Reduced to tears when his team lost the league trophy on the last day of the season to rivals PSV, he stepped down. This was despite holding a major lead for most of the 2015/2016 season. De Boer’s side was heavily slated for lacking creativity, being too pensive and aimless in possession. 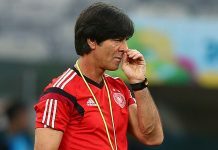 Things got so bad he drew comparisons with Van Gaal’s dreadful and sleep inducing methods at Manchester united. Afterwards, Inter came calling and he replaced Roberto Mancini. At first ad probably always, there will be a lot of doubters to prove wrong. He has to show his philosophy can stand up to the demands of the Serie A. Anything short of success will spell doom for him. The jury is out on De Boer but I’m sure he recognises this fact. He can boost his reputation greatly if he restores pride to Milan’s blue half. Adapting his mentality to this new level is key and the whole city is not famed for its patience. Previous articleCinderella Again: Can Sassuolo Emulate Leicester City? Next articlePep Talk: Guardiola Knows His Limits But He Doesn’t Care!